OLINDA — Experts aiming to relocate a rare Maui-specific songbird will admit they’re kind of nervous. If nothing is done, then the kiwikiu (Maui parrotbill) population of 200 to 300, maximum, is heading for extinction in two decades, predictions say. But the something that officials have been planning for the last seven years carries many unknowns. 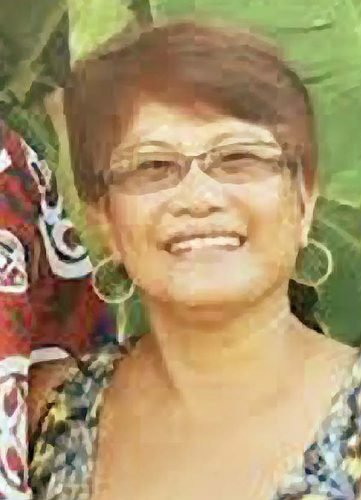 Fretz is the state Department of Land and Natural Resources Division of Forestry and Wildlife Maui Branch manager. 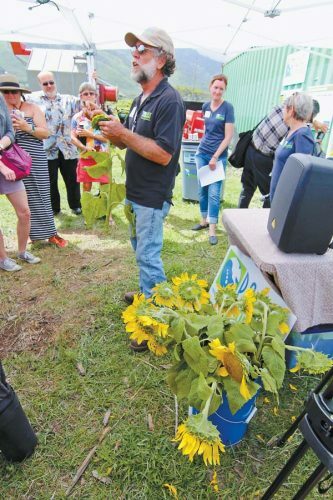 He, along with Hanna Mounce, Maui Forest Bird Recovery Project coordinator, and a host of other local, state and national groups, are counting down until the move date in October or November. “It’s the calm before the storm,” Mounce said on Friday. The plan is to take up to 20 birds, some from East Maui forest homes and others raised in captivity, and relocate them high atop leeward Haleakala in a place called Nakula Natural Area Reserve. Notably cute, the petite brown-and-yellow birds — the only ones in Hawaii with their bill — have a distinct song. Kiwikiu also pack some serious strength when they use their stout beak to chisel away at bark searching for grubs. Considered the most threatened among Maui’s honeycreeper family, the kiwikiu are found nowhere else in the world. Now requiring high elevations, they once lived throughout native forest habitat in leeward Haleakala before the lush areas started disappearing from grazing and browsing impacts of wild hooved animals, called ungulates. Once the native forests diminished, the birds started decreasing too. Now, one population exists on the rainy windward side of Maui, and it’s being carefully protected and managed — but it’s not enough, Mounce said. 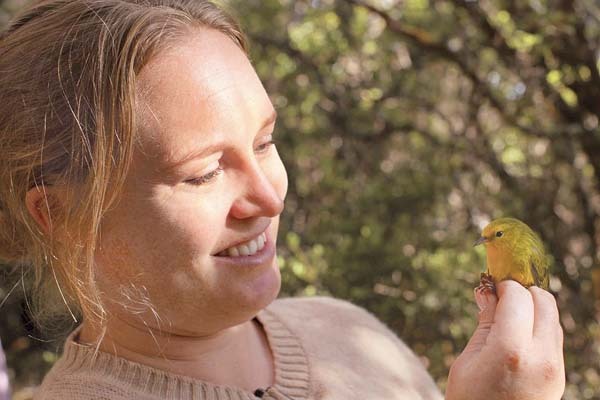 Hanna Mounce, Maui Forest Bird Recovery Project coordinator, along with a host of other local, state and national groups, are counting down until the move date for the endangered kiwikiu in October or November. Since 2012, several groups and dozens of volunteers have been preparing the future native habitat home for the kiwikiu, according to Mounce. 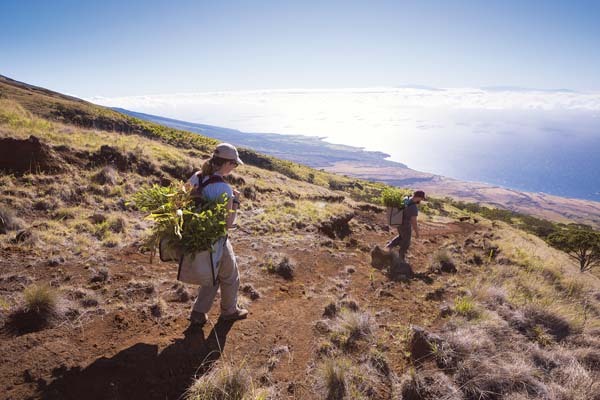 Fencing off protected areas, removing feral ungulates and planting more than 250,000 native trees with 19 species such as koa and ohia are all in place. It helped that the kiwikiu preparation is part of a larger reforestation effort with Leeward Haleakala Watershed Restoration Project. “Once we removed the feral ungulates from the reserve and began planting native trees, it also became clear that there is a diverse and viable seed bank in the soil and we are now seeing vigorous natural regeneration of native forest species,” said Fern Duvall, the native ecosystems manager for DOFAW Maui. Using some of the best practices for other successful reintroductions, kiwikiu translocation teams have several pieces to the puzzle solidified. Small release aviary platforms, where birds will spend time adjusting to their new surroundings, have been built. Feeder sites are identified. And tracking, using a small radio backpacks that nestle into their back feathers, will be used for 40 days of monitoring, Mounce said. After that, colored leg bands will help officials trace them via binocular. Experts can control many things, but at the end of the day, variables like disease and predator threats are out of their hands. “I have a vision of them flying out of these aviaries, and being in the koa and doing amazingly and eating out of the feeder, and it’s all going to go fantastically,” Mounce said. “But then the reality is that we are taking a very small, critically endangered bird that there are maybe 200 to 300 of max, and we are putting him in a helicopter and flying him from one side of the mountain to the other into a forest he’s never been in before — which is kind of nerve-wracking. 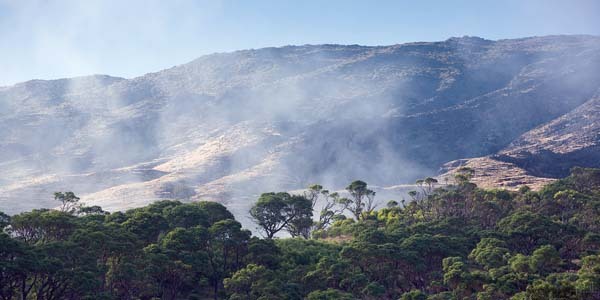 The long haul includes bigger-picture work for the kiwikiu and for the native forests on Maui. Officials hope the second population of birds adapts to its initial 428 acres, then starts to spread and thrive in a lei-shaped area that encircles the mountain slopes outside Haleakala Crater. More reforestation work needs to be done for that to occur, though. Fretz, who helped author a 2006 federal recovery plan that called for the second population of kiwikiu, said the birds and the native forest are interwoven. 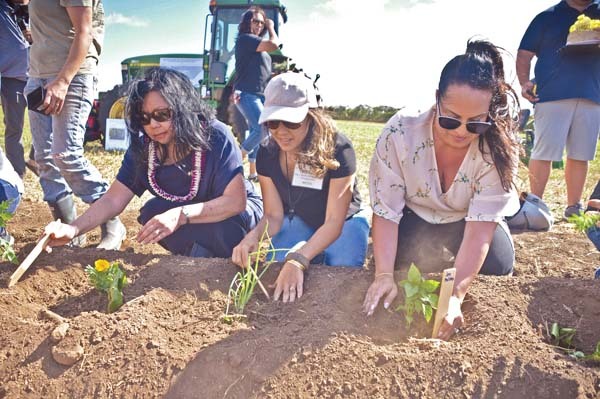 An even larger effort by local reforestation groups is being done to conserve important forest ecosystems, where everything is connected, from mauka to makai. 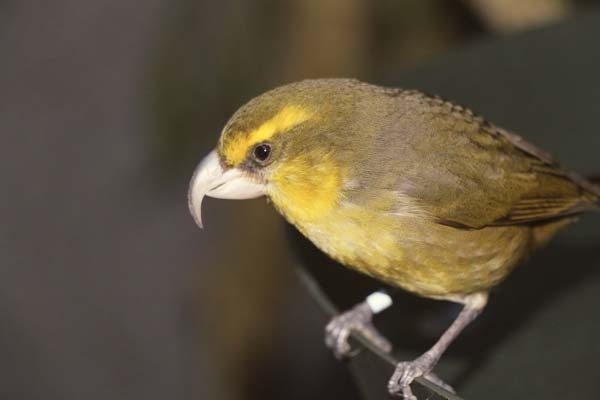 Besides state DLNR divisions and the Maui Forest Bird Recovery Project, a part of University of Hawaii at Manoa Pacific Cooperative Studies Unit, the kiwikiu project includes American Bird Conservancy, San Diego Zoo Global’s Maui Bird Conservation Center, U.S. Fish & Wildlife Service, Department of Hawaiian Home Lands and many volunteers.